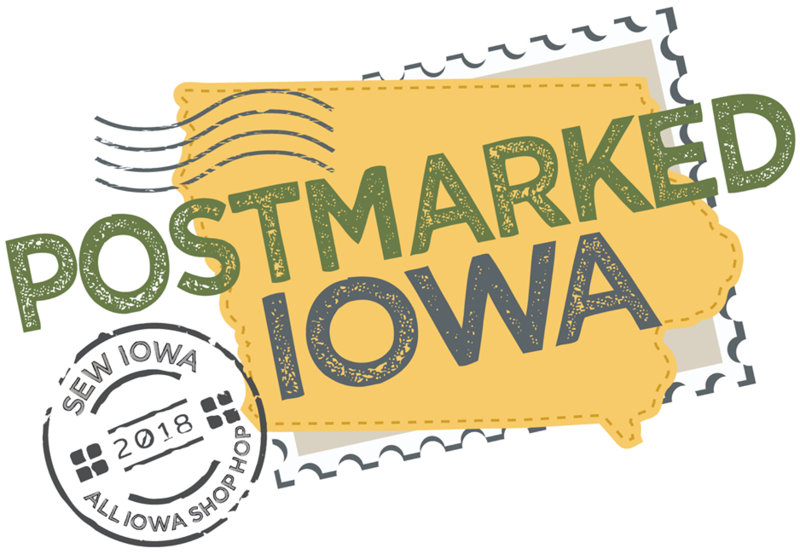 We’re five days into the month of June and the All Iowa Shop Hop. 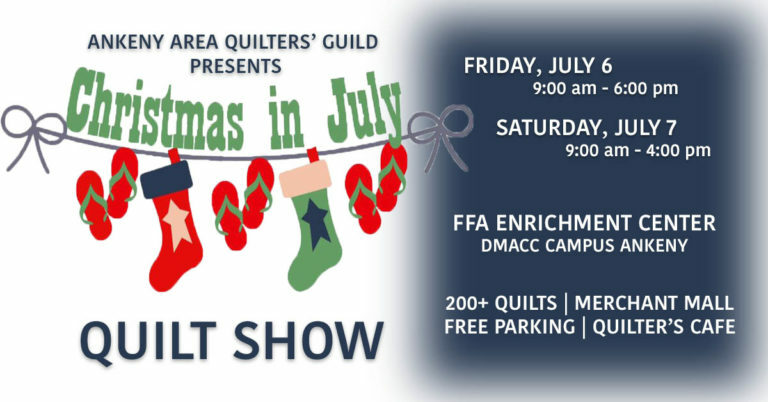 Ninety-one Iowa quilts shops are participating in this annual shopping extravaganza with store specials, special patterns, give-aways, prizes and more. 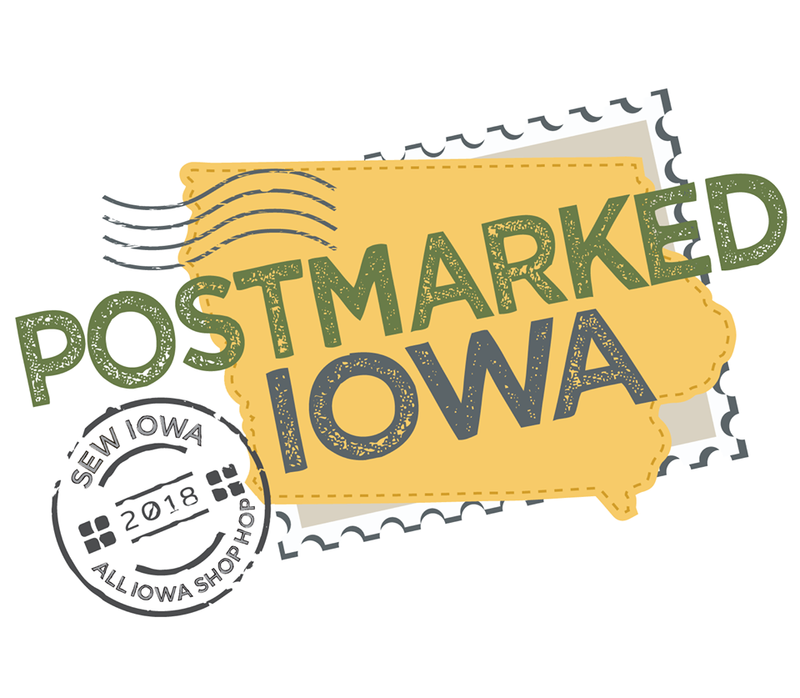 This year’s theme is Postmarked Iowa. 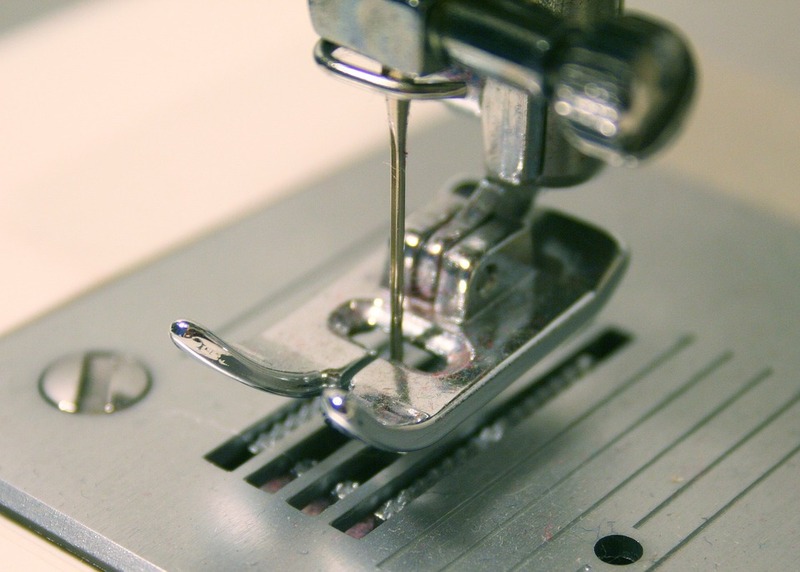 Shop hoppers should pick up a copy of Sew Iowa Magazine from their favorite quilt shop to find their passports, a list of all of the stops, and where they can get their custom Postmarked Iowa fabric. Visit five or more participating stores and turn in your completed passport and you can be eligible for the prize drawings. Find out more at the AISH website or Facebook page. 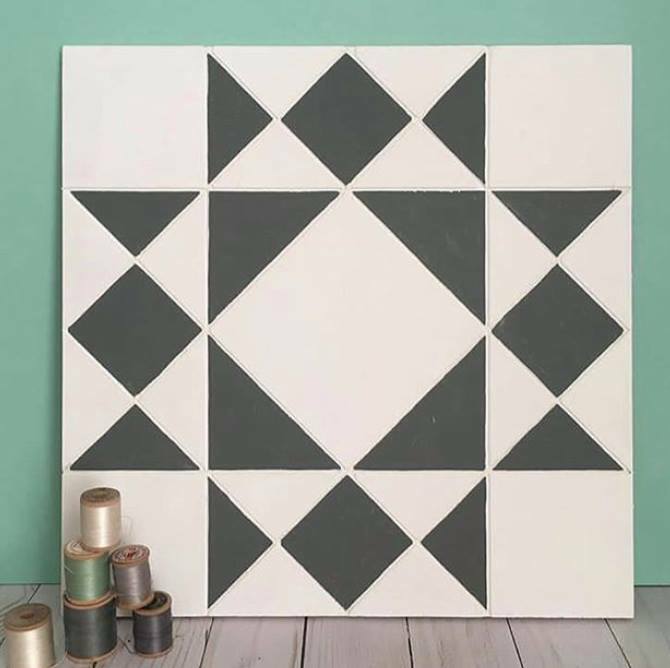 The Iowa Quilt Museum will host two sessions of a Mini Barn Block Painting class on Saturday and Sunday, June 8th and 9th. This event is being held as a part of Women’s Weekend in Winterset, a special weekend of classes, workshops, demos, entertainment, pampering, dining, & shopping. Saturday’s class is full, but there are still a few spots left in Sunday’s class at 1:30 pm. Women’s Weekend in Winterset is sponsored by the Madison County Chamber of Commerce and you can register for this and other classes through their website. 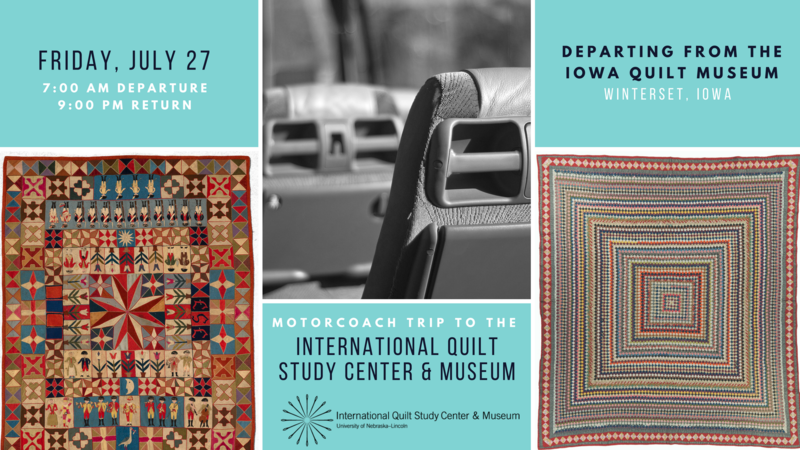 In this edition of Iowa QuiltScape, we’re highlighting another Barn Quilt Block Trail, this time in Grundy County located around the convergence of Highways 20 and 14 between Iowa Falls and Cedar Falls. The barn quilt block concept was brought to Grundy County in the fall of 2003 as a way to bring visitors off of newly completed Highway 20 and back into the heart of Grundy County. 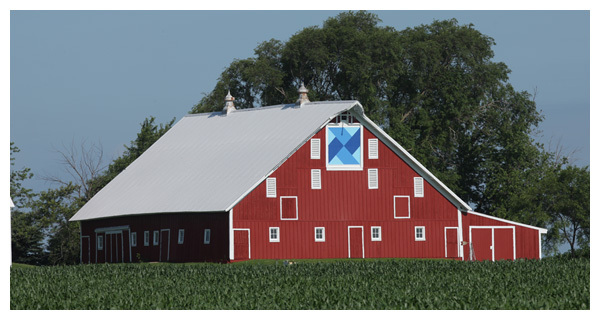 Designed to highlight the rural, agricultural heritage of Grundy County, as well as the important folk art of quilting, the Barn Quilt Loop features large patchwork quilt blocks that have been painted onto the sides of barns and other farm buildings in the area. These designs range in size from 8′ x 8′ to 12′ x 12′ and are painted either directly onto the sides of the buildings, or onto a plywood frame and mounted to the side of the structure. As you travel along the 64-mile Barn Quilt Loop, you will be delighted by dozens of colorful quilt patterns that are spread across the rural areas and in the towns of Wellsburg, Conrad, Beaman, Grundy Center, Morrison, Reinbeck and Dike. 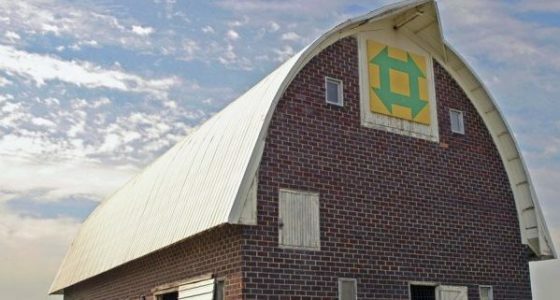 Over the past few years, the Barn Quilt Loop of Grundy County has grown into a unique attraction that has drawn visitors from all over the country to see the quilt blocks, shop in the county’s many specialty and gift shops, enjoy a meal at one of several locally-owned restaurants, and just generally have a pleasant time in Grundy County, home of the Original Iowa Barn Quilts. Loved, loved, loved my trip to Winterset and visiting the museum. 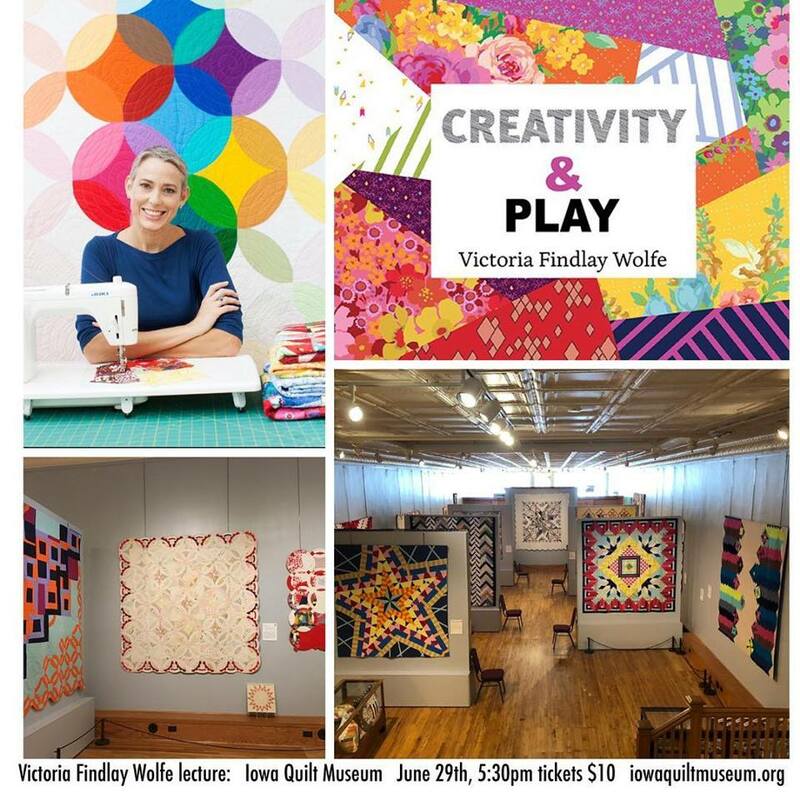 I’m from Minnesota, but Iowa is not that far so I might be joining in some of the quilting classes, trips, and fun! Nice Work, quilters! I’m a beginner and have found a whole bunch of inspiration in your work! Thanks for your kind words, Karen. We do hope you’ll join us for more events and exhibits in the future!